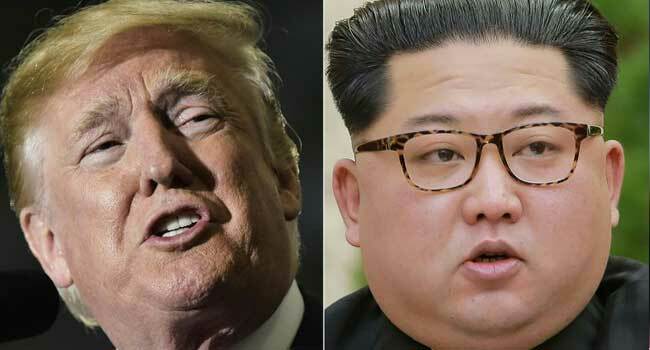 United States President Donald Trump said Friday his summit with North Korea’s leader Kim Jong Un is back on for next month, after extraordinary Oval Office talks with a top envoy from Pyongyang. Trump emerged after a more than hour-long Oval Office meeting with Kim Yong Chol — a general facing US sanctions who is Kim’s right-hand man — saying that the summit will go ahead in Singapore on June 12 as originally planned. Trump said the letter from Kim, hand-delivered by Kim Yong Chol, was “very nice” and “very interesting” — but then said he had not opened it yet. Nevertheless, the US president had warm words for Pyongyang, saying the long discussions had touched on North Korea’s denuclearization and economic development. Trump indicated that the campaign of “maximum pressure” was at least on hold, vowing no new sanctions while talks are ongoing. “The relationships are building and that’s very positive,” he said. In a move that is sure to worry US allies in Japan and South Korea, Trump also said that he and his guest had discussed US troop numbers on the Korean peninsula. “We talked about almost everything. We talked about a lot. And we talked about sanctions,” he said.